Each month, HomeTips.com serves more than half a million unique, motivated visitors looking for information about home improvement products and services like yours. This is the highly targeted traffic you need to generate sales, leads, sign-ups, and ad exposure. Most HomeTips visitors are homeowners. 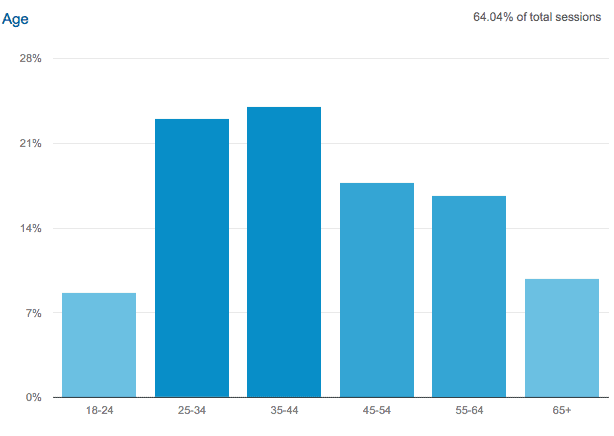 The demographics are 41% male, 59% female, ages as shown in this graphic. Founded in 1996, HomeTips is one of the Web’s leading home-improvement sites. Each month, most of HomeTips’ visitors arrive from high-value sites such as Google, MSN, US News & World Report, Yahoo Finance,and hundreds of regional television station sites. Don Vandervort, HomeTips’s founder, is a nationally known author/expert and featured authority on major home sites, including MSN. Vandervort has written or produced more than 30 home improvement books, including This Old House Remodeling. Vandervort served as a segment host on the award-winning HGTV series, “The Fix,” for three seasons. HomeTips is filled with expert, original content. HomeTips.com is a trusted resource of fair and unbiased home-improvement information for consumers. It offers help for those who wish to make buying decisions for nearly every aspect of the home, from roofing and siding to heating equipment, flooring, cabinets, and home services. And it offers step-by-step guidance for hundreds of home improvements and repairs. HomeTips articles act as a highly effective subliminal sales platform. Don Vandervort’s knowledge and credibility support the use of products and services. You can choose to advertise on pages that deal with specific products or services, or on the highest-traffic pages for maximum exposure. HomeTips offers a range of advertising opportunities, including site-wide display ads in the sidebar and 300×250 ads in the content area of the specific article categories listed below. Please note: HomeTips does NOT offer text ads on single pages or ads that are intended to pass along Page Rank. Please select from the following site categories and contact us for current advertising rates.